One Community Health and Mid-Columbia Medical Center collaborate with local resources to bring ‘health fairs’ and support to seasonal workers and families. HOOD RIVER, Ore., June 19, 2017 — For 30+ years, One Community Health (OCH) has made a commitment to provide health education and services to migrant farmworkers who, come summer, harvest fruit throughout the Columbia River Gorge. While the mission to serve this population is no different this summer, big changes are afoot, particularly in regard to how outreach will play out and some of the key players behind it. For starters, OCH is announcing a new, exciting direction with a number of community partners that are working on a common goal: making outreach bigger and better. According to Alicia Swift, OCH’s enabling services manager, this new development came about when the OCH Outreach Team started attending and helping lead various meetings with these organizations. All of them were already working to serve the migrant farmworker population in the region in some way. From the meetings, came a more powerful action plan for a series of collaborative, coordinated outreach visits. During harvest season, OCH will conduct four of its visits to farmworker camps solo. However, OCH is teaming up with Mid-Columbia Medical Center (MCMC), which also has a track record for its successful farmworker outreach program, called “Serving Oregon and its Migrants by Offering Solutions” (SOMOS). Together, OCH and MCMC organizations are co-leading three visits to farmworker camps in June and July. The combined efforts and professional talent will give farmworkers more health care services, access to resources, and education, as well as new types of support than in years past. In addition to OCH offering the usual nutrition and chronic disease education, glucose testing and blood pressure checks, it will now provide dental education, behavioral health screenings, plus education around heatstroke, dehydration and safety practices. 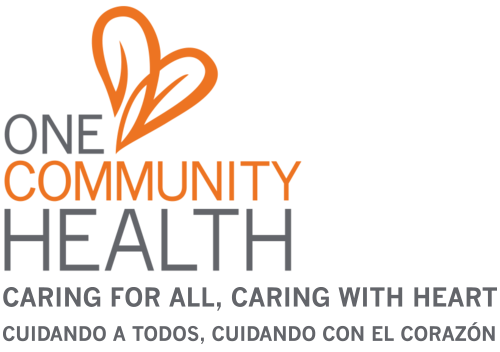 One Community Health will bring its share of staff, supplies and equipment while MCMC will contribute medical providers, interpreters, volunteers and physical therapists for even greater support and impact. Most of the outreach will be at orchards around The Dalles. Meanwhile, other community partners are reinforcing the outreach, too. Fish Food Bank, St. Vincent de Paul, The Next Door, Oregon Food Bank, Gorge Grown Food Network, Klickitat Health Department, Skyline Hospital, Providence Hospital and Oregon Child Development Coalition are all stepping up to volunteer, help with food boxes, and do much, much more. Some of these agencies have assisted in years past but are now increasing their efforts and resources. For more information about the OCH migrant farmworker outreach, contact Alicia Swift: aswift@onecommunityhealth.org. For more information about the OCH Migrant Farmworker Clinic or its walk-in hours, call: 541.296.4601. One Community Health (OCH) is a nonprofit, Federally Qualified Health Center with locations in The Dalles and Hood River, Ore. Formerly known as La Clínica del Cariño Family Health Care Center, Inc., it was founded in 1986 and, today, has evolved into an official Patient-Centered Primary Care Home. OCH currently provides services to over 11,000 patients. In addition, OCH excels in providing proactive educational programs and support that sustain its integrated approach to health and wellbeing. Dedicated to advancing health and social justice for all its community members, OCH serves patients from the Mid-Columbia River Gorge Region: Wasco, Hood River, Klickitat and Skamania Counties. For more information, click here or visit: http://www.onecommunityhealth.org/. Mid-Columbia Medical Center (MCMC) has been providing high-quality healthcare to people of the Mid-Columbia region in its current location on 19th Street in The Dalles for over half a century. The staff of nearly 1,000 employees and more 50 physicians, as well as more than 200 volunteers, work as a team to provide care that is respectful of the physical, emotional and spiritual needs of our patients and their families. In 1992, MCMC became the first hospital in the world to implement the Planetree philosophy of care facility wide. In the ensuing years, MCMC was transformed into a one-of-a-kind center of healing, a place very different from what most people expect of a hospital. For more information, visit mcmc.net. Now at One Community Health: I'm healthy! / ¡Soy sano!